Going into the heat of the battle without having the proper Paintball equipment is a painful nightmare waiting to happen. Whatever Paintball package you go for, ONE FOUR BASE will provide all the safety and Paintballing equipment you need. As a leading Paintball facilitator, ONE FOUR BASE takes pride in supplying top-of-the line equipment, designed to maximize your Paintball excitement. We use only certified equipment & safety gears, and has zero tolerance level, when it comes to the safety. We work very hard towards, regularly servicing & maintaining our equipment in top condition, and ensuring high hygiene levels, to ensure that you get the maximum, out of your Paintballing day. We also urge our customers, to take good care of the equipment & safety gears that they are issued as rentals, and leave them in good condition for the next group or when they come back again. Empire BT-4 Combat Paintball marker is one of the most popular Paintball markers across the world, from the top Paintball brand of Empire. 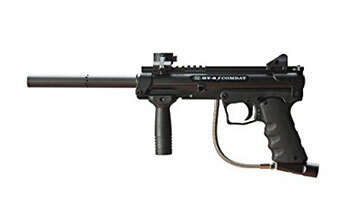 It’s a semi-automatic Paintball marker especially designed for Paintball. It’s powered through a CO2 gas tank, and is powerful enough to short at the speed of 300 ft/sec. The marker’s range is about 150 ft, So, you can shoot pretty much every player, hiding at the far end of the field. Barrel Length – 8.5 in. Marker Length – 20 in. We provide high quality Face Masks, which completely cover the eyes, mouth, ears and nostrils. The lenses are designed to protect against Paintballs travelling up to 300 ft/s. These are designed to withstand the impacts of rocks and sticks. Please note that we do not allow any players to enter the field without the Face mask. We also do not allow any other masks, driving helmets and other similar materials inside our fields. 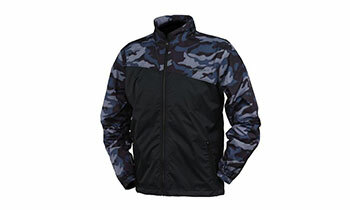 We provide body protection jacket, which covers you from neck to waist. 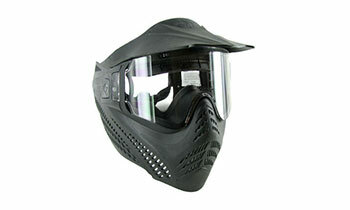 These are especially designed to reduce the impact of paintball. These also ensure that your clothes do not get dirty, and can be easily worn over your clothes. These are available in 2 different colours, to differentiate your opponents. We are extremely particular about hygiene, and have in-house washers to ensure that you always get fresh clothing. For those who are extra safety conscious, body armour is also available free with us. 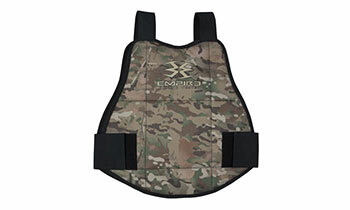 Our super-light-weight plated vest offers a comfortable and protective barrier between the player and the paintball, giving you ease of mind to focus on the game. Specially for girls. 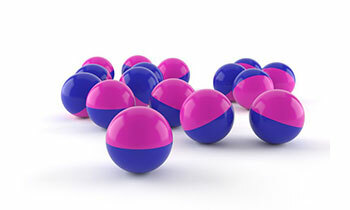 A Paintball is a round, .68 calibres, thin-skinned gelatine capsule with bright coloured liquid which is non-toxic, non-caustic, water-soluble and biodegradable. It rinses out of clothing and skin with water (or mild soap, if required).